One of the things I knew Miss Poison would miss about the old couch was being able to hide her head. 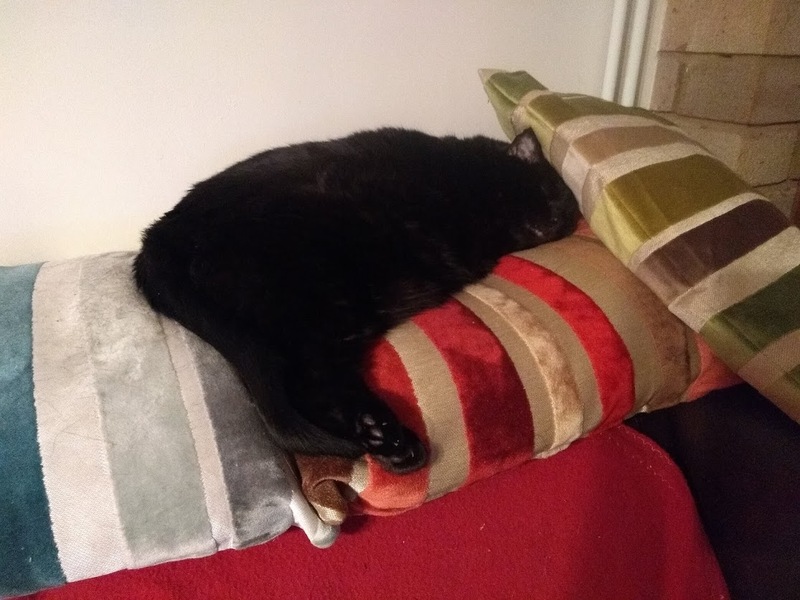 I don’t know why she finds that especially comfortable, but as you can see, it seems to put a smile on her face (though she’s usually tucked further under the pillow). I’m just happy that we accidentally recreated that scenario for her. Right, off to shove pain meds in my face.